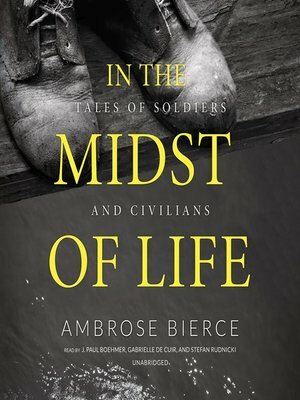 In the Midst of Life: Tales of Soldiers and Civilians is a collection of twenty-six short stories originally published in 1909 detailing the lives of soldiers and civilians during the American Civil War. These include "A Horseman in the Sky," "Chickamauga," "The Applicant," "A Holy Terror," "An Occurrence at Owl Creek Bridge"—perhaps his most famous story of all—and twenty-one other disturbing tales. Their messages about the horrors of war live on vividly to this day.